With the typhoon season over construction work was able to commence on our Philippine project at the end of 2018. With ground works complete, the new house is starting to emerge on the beautiful island of Bohol. Here we see what will become the main entry. We are delighted to have our Vaucluse project featured on the cover of the new issue of Grand Designs magazine along with a generous eight page feature. We're extremely grateful to our clients for all their support with the design and allowing us back to photograph their home, as well Tom Ferguson for his photography. MJH Building did a great job getting our Leichhardt project ready in time for our wonderful clients Dane and Kat to move in and make a home. Still a few bits to finish off but the project has come together really well. Our recently completed new build project in Bronte has now been photographed by Tom Ferguson with Emma Elizabeth sprinkling her styling magic dust. We are absolutely delighted with both the finished house and photos to capture it. Following completion of this alterations and additions project by MJH Building, Simon Whitbread has been on site and got some great shots for us. Mid-century details have been referenced throughout the project reflecting our client’s love for this style. On site with MJH Building in Leichhardt. Cladding is about to go on followed by door and window installation. We’re expecting to have this one completed in November. We have completed design development for our first international project which will be built on the island of Bohol in the Philippines. 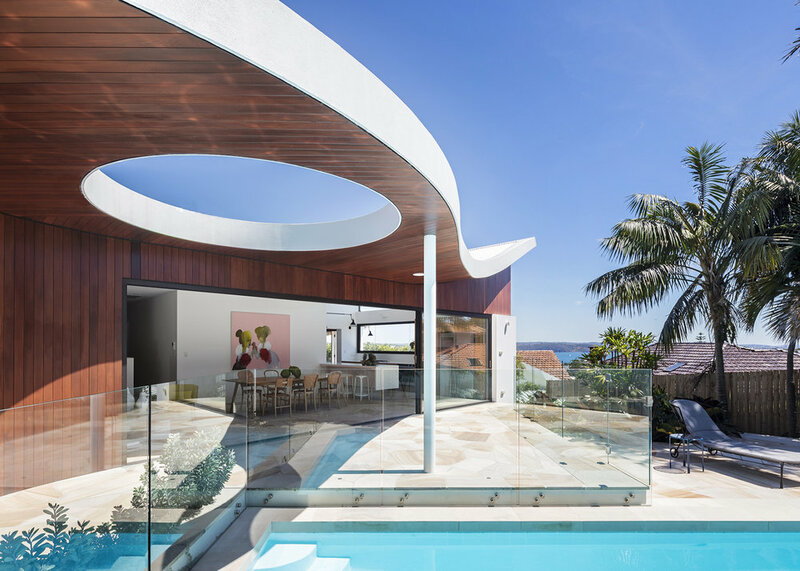 The design was conceived taking two major factors into consideration: the construction methods and materials available on the island and the extremes of the tropical climate. Having commenced on site in February work is now well progressed on this new build project in Bronte. The Oregon timber formwork has been stripped off the concrete and roof framing is underway. On track for our clients to be in their new home before the end of the year. We are pleased to have received Development Application approval for our mixed-use development in Bronte of ten apartments and two shops. With minor amendments we were able to negotiate with Waverley Council and secure an approval for our client exceeding council's FSR controls for the site. The Australian have this month featured “Vaucluse Vacation” heading up the interiors section of their mansion Magazine. In the client’s words “We wake up every morning and literally feel like we are on holiday, even when we have to get up and go to work”. Anthea Williamson photographer has been out to our recently completed Bondi project to get some photographs for PMD Build and ourselves. Following completion of two houses next door to each other in Bronte Simon Whitbread has been on site and got some great shots for us. We completed the interior design on both these projects so the styling was a bit easier than normal as all the furniture and fittings we selected were ready and waiting. Our first time working with photographer Tom Ferguson has produced a stunning set of images. Assisted by stylist Emma Elizabeth the photos really bring the design to life. Thanks also to the generous support of our preferred furniture suppliers, Kezu, Living Edge, Blu Dot, Seeho Su, Cult, Madebytait and Designer Rugs. Some clients make our job a lot of fun. It was very exciting for all involved for Stuart, Gina and the kids to be able to move in to their new Bronte home. Throughout the project was great teamwork along with PMD build. We are pleased to have received Section 96 approval from Waverley Council for our design of this new house in Bronte. With contracts all prepared we’re now ready to build this project which has fast tracked from sketch design to start on site in just six months. We have submitted our DA to Waverley Council for this mixed-use development in Bronte of ten apartments and two shops. This infill development combines brick with copper and timber to provide a positive contribution to this busy Macpherson Street neighbourhood.